Eggs are one of those items we take for granted will always be in our refrigerator. They’re always there if you need a quick scramble, late-night baking session or afternoon hard-boiled snack. But sometimes we get a little too used to them always being there, and it might be a week… or two… or three, and suddenly, we’re not so sure we can safely eat those eggs anymore. You can check the sell-by date, which might give you a bit of a clue, but that doesn’t really tell you when they expire. While they’re at their best quality within three weeks of the packing date, how long can you count on them to last? Of course, if they seem off to you for any reason, feel free to throw them out. But here are some guidelines for how long you can keep those eggs around. How long can you keep eggs in the fridge? Definitely look to the egg carton sell-by dates to judge freshness. The USDA says that the date can be no further ahead than 30 days after the packing date. Some states don’t require a sell-by date on cartons, but all USDA approved eggs will have a packing date, which is the day that the eggs were washed, graded and placed in the carton. The packing date appears as a three-digit code that represents the consecutive day of the year starting with January 1 as 001 and ending with December 31 as 365. Your local store can choose any day within those 30 days to date the eggs. The USDA, however, isn’t hard and fast on consuming foods by the sell-by date. They say that if the sell-by date has passed, a product should still be safe and wholesome if handled properly until the time spoilage is evident. “Spoiled foods will develop an off odor, flavor or texture due to naturally occurring spoilage bacteria. If a food has developed such spoilage characteristics, it should not be eaten,” it says on their website. In short, if it stinks when you crack it open or smells funky at all, don’t eat it. According to Foodsafety.gov, raw eggs in the shell can be kept in the refrigerator for three to five weeks. Freezing in the shell is not recommended. Instead, crack those eggs, beat them, and then store them in a freezer-safe container. How can you tell when eggs have gone bad? Eggs are unlikely to go bad in a refrigerator setting but would dry up over time. Eggs don’t automatically go bad or spoil after a certain date. If the eggs do not already have salmonella, then their sitting in the fridge isn’t going to make the bacteria spontaneously generate. 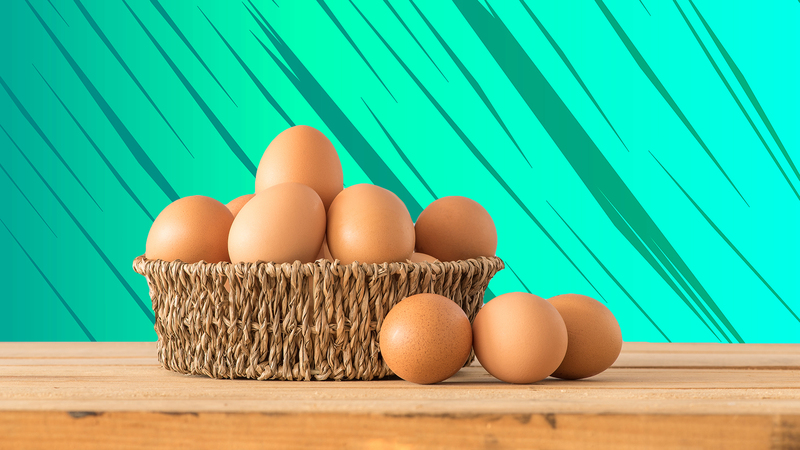 If your eggs do contain salmonella, the number of bacteria will be quite small, because it does not grow in cold environments like a refrigerator. Proper handling and cooking will kill any bacteria present, according to incredibleegg.org. An easy way to test the freshness of an egg is to place it in a bowl of water. A fresh egg will sink, and an older egg will float. Use fresh eggs for poaching and other recipes where shape is important. Save the older eggs for scrambled eggs and other dishes made with eggs. A version of this article was originally published in September 2015.